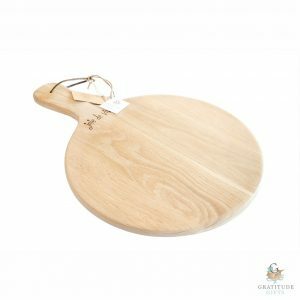 Due to the nature of wood, your purchase’s colours may vary slightly from the image shown. 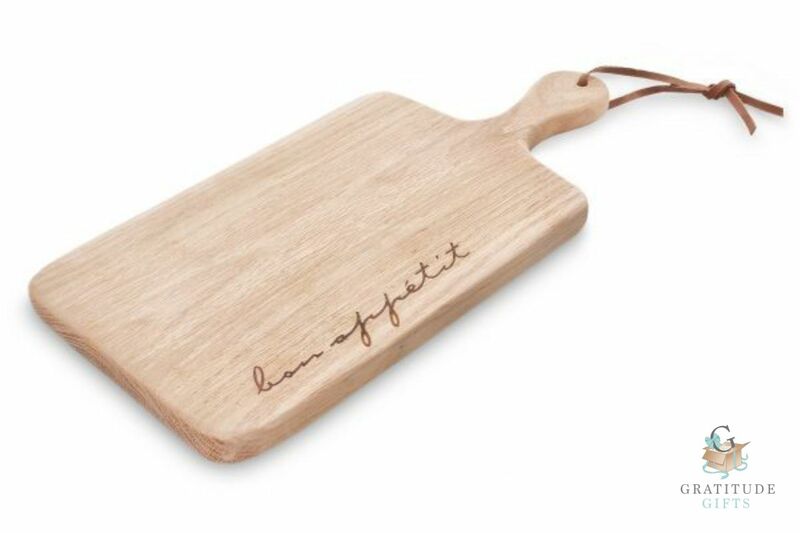 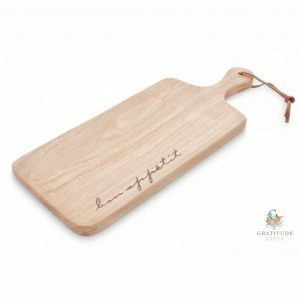 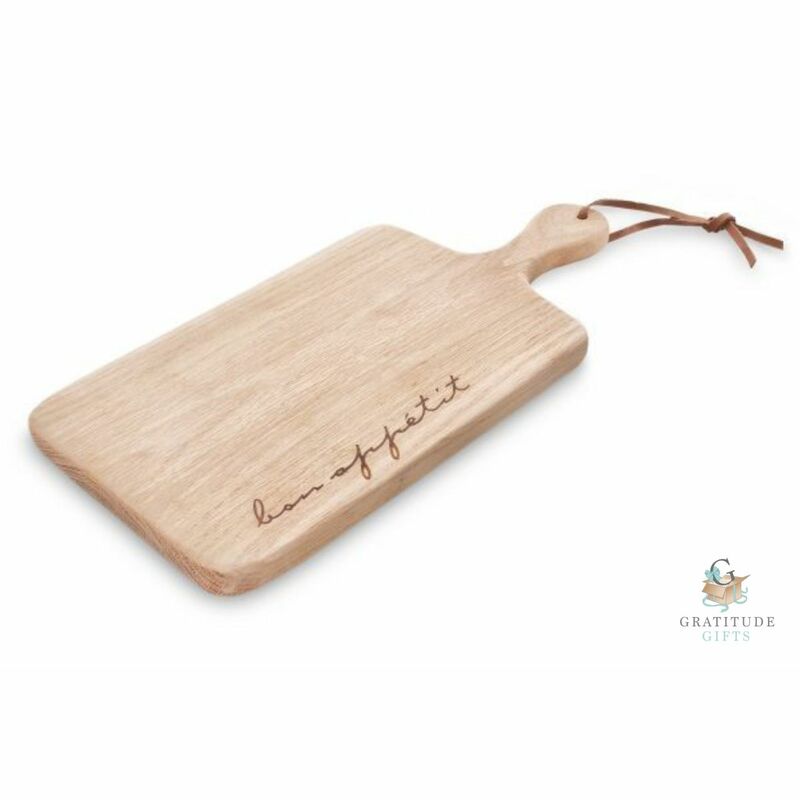 This rectangular, weathered oak board is 390mm x 200mm in size with rounded edges, and has the words “Bon Appetit” (meaning “good appetite”) beautifully etched into the board. 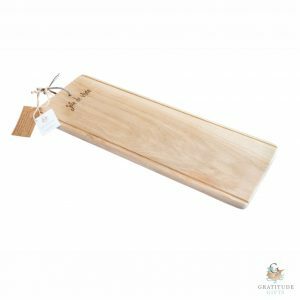 A shaped handle extends from the board, with a leather strap attached for easy carrying or hanging up.